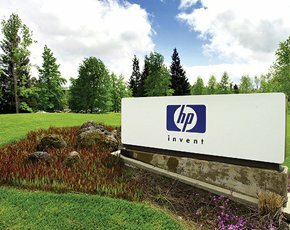 Hewlett-Packard is to cut 27,000 jobs or 8% of its workforce as part of a plan to achieve annual savings of between $3bn and $3.5bn by the end of fiscal year 2014. HP described the plan as a multi-year "productivity initiative" designed to "simplify business processes, advance innovation and deliver better results for customers, employees and shareholders". The company said it expects to use the savings to boost investment in innovation around its three areas of strategic focus – cloud, big data and security – as well as in other segments that offer growth potential. As part of the headcount reduction plan, HP is offering an early retirement programme. "Workforce reduction plans will vary by country, based on local legal requirements and consultation with works councils and employee representatives, as appropriate," the company said. HP employs about 350,000 people worldwide, and about 20,000 in the UK. A spokesman said it was too early to say where the job cuts would hit, but no part of the business would escape. "We have not yet announced specific plans with regards to specific locations. We do expect the workforce reduction to impact just about every business and region," the spokesman said. In addition to the restructuring actions, HP plans to achieve additional savings from supply chain optimisation, go-to-market strategy simplification and business process improvement. “These initiatives build upon our recent organisational realignment, and will further streamline our operations, improve our processes, and remove complexity from our business,” said Meg Whitman, HP president and chief executive officer. “While some of these actions are difficult because they involve the loss of jobs, they are necessary to improve execution and to fund the long-term health of the company. We are setting HP on a path to extend our global leadership and deliver the greatest value to customers and shareholders," she said. As part of the changes, the head of HP's Autonomy division, Mike Lynch, is being replaced by Bill Veghte, HP's chief strategy officer, according to the BBC. News of the job cuts coincided with the publication of HP's latest quarterly results, which showed that the company's profits and revenues were both better than analysts had estimated. HP reported a 31% fall in profits in the second quarter to $1.6bn, and revenue was down 3% to $30.7bn compared with the same period a year ago. "This quarter we exceeded our previously provided outlook and are executing against our strategy, but we still have a lot of work to do," said Whitman. Earlier this month, Whitman told customers and partners in London that she planned to create the capacity to invest in quality and customer service. In the first eight months, she said, HP had impressed her with its skilled people and intellectual property. But in analysing the opportunities and challenges to formulate a strategy, it was clear that "everything has to start with the customer", she said.